First Post – Mirrors: Self-reflection and communication. As of today this blog has existed more than six weeks, with no posts, and no title. This morning I found both snuggled up together. Please read to the end to find out where I found them. Two months ago I had an experience that opened my eyes and changed my teaching forever. What was this experience? I attended my first (but not my last!) Google Apps For Education Summit (GAFE). It was hosted by EdTechTeam at Windsor High School on April 9-10, 2016. I am super excited about attending the next Sonoma Summit in October. Why did the GAFE summit have such an effect on me? There were two reasons. The first was all of the incredibly awesome information, resources, and connections that I made at the summit. It revitalized my teaching mid year and reenergized me enough that Monday, though I was tired, several people mentioned that I seemed much more upbeat. That high energy boost lasted all the way through the end of the school year. The second and probably more far reaching reason can be summed up in one word. Twitter. I have been on Twitter since the beginning of 2008. I followed the same people that many Twitter users follow. My personal friends, actors, celebrities, athletes, a couple of politicians, the President of the United States (@POTUS), etc. My feed was closed and it even updated my Facebook profile so I didn’t have to go to FB if I didn’t want to. How did Twitter change me at the summit? I noticed that every single presenter had their name and their Twitter handle on their presentation. Not their email address. The GAFE Summit organizers encouraged us to tweet about what we saw and what we learned at the summit using the #GAFEsummit hashtag and to share it with the @edtechteam Twitter account. This is when I discovered Twitter as a Professional Development (PD) model. What is Twitter for educators? First off, Aside from existing Twitter didn’t do anything special to make it an excellent source of PD for educators. Educators made it special. They saw the opportunity to make connections and collaborate with colleagues in education who they never met face to face who live across the country and around the world. They shared what they were doing in their classrooms that worked, and what failed. They held discussions about topics in education, they shared resources, ideas, tips, tricks, and they did it in 140 characters or fewer. Every day there aremany directed, moderated conversations happening around topics in education. (Schedule of EdChats) Educators are connecting with educators and it is glorious. One of the biggest difficulties that I have encountered in my teaching (and I am a new teacher) is the tendency for educators to get isolated in their rooms. I definitely have been. During the school day it is difficult to find the time to go talk to your grade level team next door, let alone another grade. A grade alike at the neighboring school? Forget it. This isolation has been an issue in each of my teaching assignments. This year was better because I had an AWESOME BTSA support teacher who was located at my site and we would talk daily about our teaching and from that I improved so much more than I though I would be able to. Had I not had her, I don’t know if I would have made as much of a difference with my students and I definitely wouldn’t have improved as much as I have. Twitter gives educators an opportunity to make connections asynchronously, on your own schedule, with other very experienced, supportive educators. Being on Twitter as an educator over the past month and a half has opened my eyes to new ideas in teaching, new philosophies, new techniques, and most importantly to new colleagues. Taking little, tiny sips from the torrenting waterfall that is Twitter in an educational setting has given me more to think about and use to improve my teaching than pretty much anything else I have encountered. And I get to do it in five minutes here, ten minutes there, snuck in around the time filled by teaching and family. Back to the new title of my blog and this post and how it finally came together. First off, this is the most I have written in a very, very long time that wasn’t tied either to an assignment for a class or BTSA or to be used with my students. I tend to have huge writers block. I reflect daily on my teaching. I talk with others regularly about my teaching. I NEVER write about my teaching. This causes me problems in two ways. The first is that it is hard to see the effects of your reflections and changes in teaching if you don’t record them. The second is that I have a hard time remembering all of my reflections due to the wonderful distraction that comes with having three young children. I have intended to start a blog to save my reflections for a long time with this blog started, active and empty for more than six weeks while I went through 8-10 attempts at a first blog post and 5-6 titles, none of which really stuck with me. Except for the one that was the same as a fairly major publication on a similar topic (education tech) and had the same name with a single letter’s difference, so that was a non starter. What changed? This morning I was thinking about reflecting on my teaching. 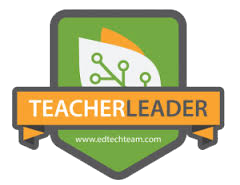 I am taking the EdTechTeam Online Teacher Leader Certificate course and one assignment is to reflect on our Personal Learning Network (PLN). I got stuck on the word reflect. In order for teachers to grow in our profession we have to reflect constantly on our teaching so that we can improve and reach our students better. I realized that while we mostly think of mirrors as a way to look at ourselves and what is behind us, mirrors can also be used for communication. As a Boy Scout one of the things that I learned was how to use a signal mirror. Signal mirrors have been used for centuries to send short messages over very long distances, not unlike Twitter. That quick realization crystallized all of the bits and pieces that I have been thinking about. They formed into this post and a new title. A Mirror Into My Teaching will be a place where I can reflect on my teaching, and the tools, skills, ideas, and pedagogy that influence it. It will also be a place where I share out information to other, like-minded educators so that I am doing my own small part to help improve our profession. Originally posted at mcarlingoldberg.blogspot.com on 6/10/2016. Thanks or the references, I’ll check them out. Teaching at community college. Not sure what’s out there. I don’t know what is out there either. Given how much there is K-12 on Twitter that you never hear about it until you get there, there might be tons. You just have to look for it. Micah, I love your blog title and the meaning behind it. Excellent first blog post – I look forward to reading more! This work is licensed by Micah Carlin-Goldberg under a Creative Commons Attribution-NonCommercial-NoDerivatives 4.0 International License.